Todos Santos is a pueblo mágico full of culture and diverse events, and one of its most characteristic festivals is GastroVino. Founded by Perla Garnica, since its first edition in 2012, it has delighted attendees with the best Mexican wines and local culinary delicacies. The White Ball: Premium wine tasting with explanations by each wine maker, accompanied by music and dancing with Luciano Pavan and his electric violin and Los Malqueridos. This event will be hosted by the Hotel California; tickets are $1,400 pesos in advance and $1,600 on the day of the event. Blind Wine Tasting Challenge: A guided tasting by oenologist Luis Raventos Llopart and rating of 12 wines. Hosted by restaurant Jazamango, from 12:00 p.m. to 1:00 a.m., with a cost of $400 pesos. Space is limited. Gastro Tour: A tour beginning at La Bodega de Todos Santos and continuing through the entire historic Centro. 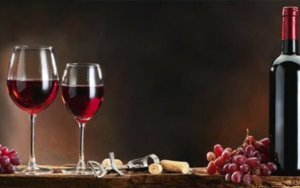 Participants will be provided with a commemorative glass and a map of the entire tour, and will enjoy pairings of tapas and wine in various restaurants. Tickets are $450 pesos in advance and $500 on the day of the event. GastroVino: The main event, which takes place in the public plaza of Todos Santos. It is a tasting of the best wines and local dishes, with Samantha Rae, Fábula Danza, La Circo and the Bill Levine Jazz Quartet. The event also features the classic silent auction to benefit La Palapa Society of Todos Santos and the restoration of the San Juan park. Tickets are $600 pesos in advance and $700 pesos on the day of the event. GastroVino After Party: At the Sky Deck Lounge, starting at 7:00 p.m., with a cost of $100 pesos. GastroVino promotes dining and drinking in local venues. For more information, visit: www.gastrovino.mx/fest/. What New Surprises will the Cheese & Wine Festival Bring this Year? This month, Los Cabos offers a great variety of sport, culinary, artistic, and entertainment events that will fill your agenda with fun and unforgettable moments….